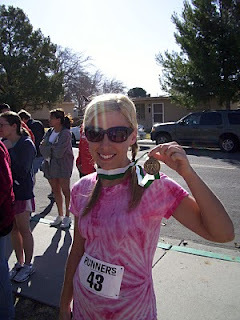 I started running in May of 2005 in Las Vegas. 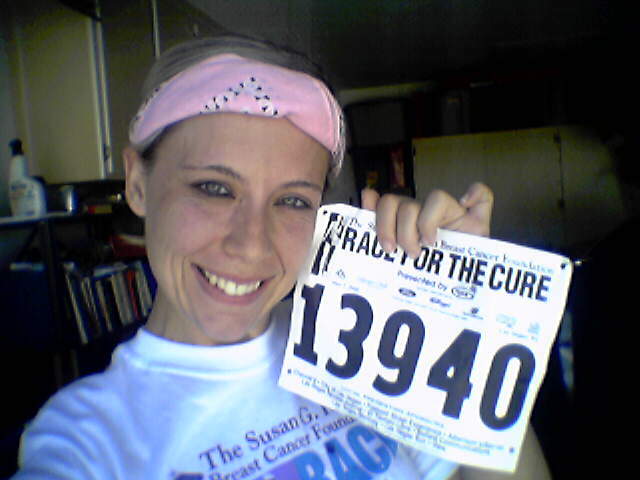 Every year they do the Race for the Cure and I was intrigued by the fact that it ran through downtown Vegas. My sister and brother participated for work sometimes for the 5k/1 mile walk, but I was curious to see how fast I could go. Let me just tell you I was not a runner in high school or college nor do I feel like I am a pro at all. 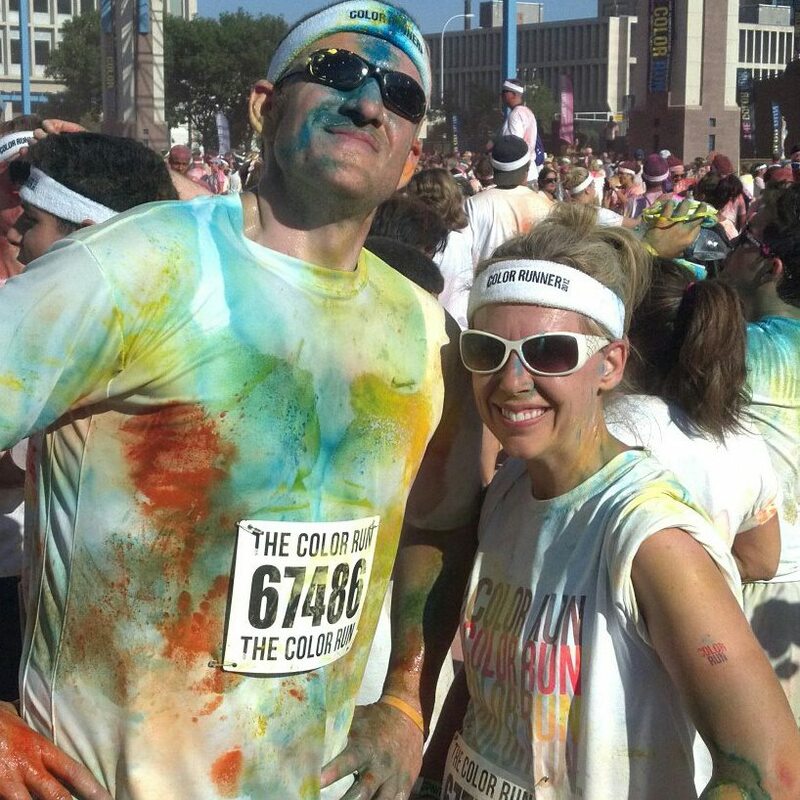 In fact, I weight almost 200 pounds and I wanted to run, but I was ashamed of how I looked and felt and didn’t do it. Now that I was able to lose weight, I have caught the bug and do enjoy a little competition. This is a picture of my first race. I was a little late to the starting line so I had to jump a few bushes to get around people and managed to get a 35 minute 5k in. I thought I was so fast! What Races Do You Participate In? 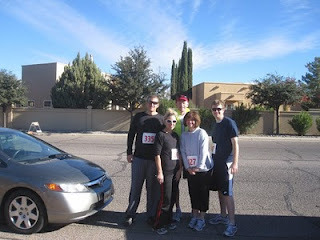 The nice thing about Las Cruces, New Mexico is that we have a lot of healthy people who want to run! There are a few sites like Race Adventures Unlimited and Up and Running El Paso where I have found a few 5k’s to run around here. 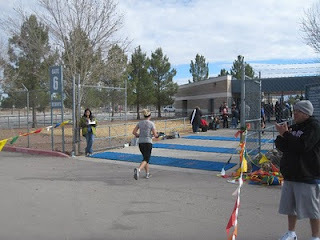 This was my first Cupid’s Chase 5k that I have made a tradition to do every year. My goal was to make it under 30 minutes and I ran it in 29:30. I was able to get a medal for the race because of my age category (we live in a college town and being 29 is considered old…sigh…). The next year I ran it in 25 minutes but I didn’t even get a medal and I didn’t even get a picture!! So far, that has been my best 5k time. Not bad with only mountain biking and week before practice. Next stop 24 minutes. What Would You Say Is Your Greatest Running Accomplishment? 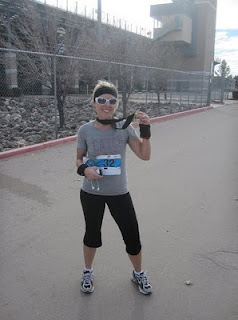 The Las Cruces Half Marathon came in December of 2010 and I really wanted to try it out. I decided to do it three weeks before the race. I trained on the treadmill because of the cold weather and still continued to mountain bike to get my conditioning up. This is me coming in at the finish line. I consider this my greatest running accomplishment because I was able to run it in 2 hours and 6 minutes when my goal was 2 hours and 30 minutes. I give credit to the Air Force guy who ran with me and kept pace and the fact that Mike rode his bike alongside me the last three miles of the race.